Fly to Adelaide and feel the history and culture of 'The City of Churches'. You will be personally met at the airport by a DISCOVER AUSTRALIA representative and transferred from the airport to your hotel. You can relax and use the rest of the day to explore your hotel and its facilities, perhaps take a stroll around the neighbourhood and central Adelaide. This morning enjoy an early pick up from your Adelaide hotel and tour to Cape Jervis through the rolling landscapes of the Fleurieu Peninsula. Board your 45 minute cruise to Kangaroo Island and get picked up for your Seal Bay luxury coach tour on arrival in Penneshaw. Visit Seal Bay, home to the largest colony of Australian sea lions in Australia and enjoy a guided walk along the beach to view these beautiful creatures. Enjoy a tour of Emu Ridge Distillery, South Australia’s only eucalyptus oil distillery with oil that is distilled from the endemic Kangaroo Island narrow leaf mallee. You will also enjoy a special 2 course lunch in a unique bush setting at Vivonne Bay. Enjoy a delightful interactive experience at the Raptor Domain where you can watch an Australian “Birds of Prey” display. Later, visit Kangaroo Island Wildlife Park which is home to over 150 species of native Australian wildlife and where you can learn about endangered species, interact with snakes and crocodiles as well as get up close and personal with koalas and hand feed kangaroos and wallabies. Later, you will be dropped back at your Kangaroo Island hotel. 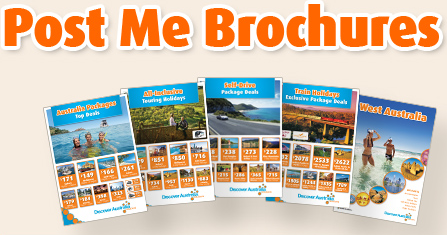 Cruise to Kangaroo Island with Hotel Pick Up, South Eastern Kangaroo Island Luxury Coach Tour, Emu Ridge Distillery Tour, Special Lunch, Seal Bay Guided Walk, Raptor Domain, Kangaroo Island Wildlife Park, Overnight Kangaroo Island Accommodation. This morning get picked up from your Kangaroo Island hotel for your full day to tour to Flinders Chase National Park and the Hanson Bay Wildlife Sanctuary. Kangaroo Island is famous for its honey and Ligurian honey bees. It is home to the world’s only pure bred and disease free colony of the species. Stop at Clifford’s Honey Farm and enjoy an informative talk by the beekeeper as well honey tastings and the opportunity to sample homemade honey based products such as ice cream and beauty products. Continue to the Hanson Bay Wildlife Sanctuary where you will enjoy a delicious 2 course lunch, after which you can look for koalas nestled high up in their natural habitat and a cornucopia of native birdlife in the sanctuary. After your koala walk, tour to Flinders Chase National Park, the most westerly point of the island and one of Australia’s largest and old conservation parks. Travel through the park taking in the breathtaking coastal scenery and unique flora of the island. Visit the Remarkable Rocks, giant granite boulders that took over 500 million years of erosion to create. The remarkable Rocks provide amazing seaviews and photographic opportunities and is definitely a must see whilst on Kangaroo Island. You will also visit Admirals Arch, a spectacular natural arch that is home to a colony of New Zealand fur seals. Watch as the seals frolic in the waves and rest on the nearby rocks. 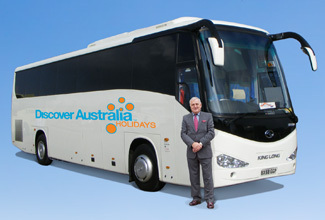 Later, cruise back to Adelaide and get transferred to your overnight accommodation. Breakfast, South Western Kangaroo Island Luxury Coach Tour with Hotel Pick Up, Honey Farm Tour, Honey Tastings, Special Lunch, Hanson Bay Wildlife Sanctuary Tour, Flinders Chase National Park Tour, Cruise to Cape Jervis, Overnight Adelaide Accommodation. Get picked up from your Adelaide hotel and enjoy a full day tour of Adelaide and Hahndorf. Take in the delightful city of Adelaide, surrounded parklands, historic buildings cafes and restaurants. Tour through North Adelaide taking in the sights of the cultural precinct, such as North Terrace, the National Wine Centre, Adelaide Zoo and the Adelaide Botanic Gardens. Stop at St Peters Cathedral or the Adelaide Oval and then continue touring east to Haigh’s Chocolates for a guided tour of the factory and chocolate tastings. Travel back to the city via the South Parklands, West Terrace, and North Terrace before enjoying a scenic drive to Mount Lofty Summit, the highest peak in Adelaide. Take in the spectacular of the city and coastline before touring through the villages of Crafers, Stirling and Bridgewater before arriving at Hahndorf. Hahndorf is Adelaide’s oldest German settlement. Spend the afternoon exploring the main street, sample local produce, and check out the local arts and crafts before afternoon tea or a traditional German beer tasting. Luxury Coach Tour with Hotel Pick Up, Haigh’s Chocolates Factory Tour, Chocolate Tastings, Afternoon Tea, German Beer Tastings, Overnight Adelaide Accommodation. 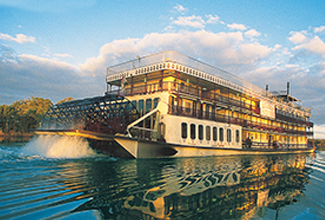 Get picked up this morning and transferred to the historic town of Mannum to begin your 4 day Murray Princess cruise. Enjoy a Welcome Dinner as you cruise under floodlight to your overnight mooring at Mundurra and spot for nocturnal wildlife on the riverbank along the way. Transfer to Mannum, Welcome Dinner, Overnight Accommodation Onboard the P.S. Murray Princess. Today visit Murray Bridge, the township built at the site of the first bridge to cross the Murray River. After breakfast join a guided tour of the historic landmarks and attractions of the town or you may choose to take an optional wildlife tour of Monarto Zoo. Continue cruising upriver and enjoy a short stop in Mannum for a visit to the Mannum Dock Museum. Continue cruising to your overnight mooring at Salt Bush Flat. You will have the opportunity to inspect the wheelhouse with the Captain along the way and after dinner enjoy the onboard entertainment from the crew. Breakfast, Murray Bridge Guided Tour, Optional Monarto Zoo Tour, Lunch, Mannum Dock Museum, Dinner, Overnight Accommodation Onboard the P.S. Murray Princess. Enjoy a guided nature walk this morning where you can learn about the local flora and fauna before departing for the gorges and cliffs of the upper river. Enjoy a special presentation in the Sturt Dining Room about the local food and wine produced in the region. After Fromms Landing, turn around and cruise back south to River View Lodge at Piggy Flat / Coolcha. Enjoy a small group, personalised wildlife tour on your discovery vessel to spot for the amazing birdlife of the region in the maze of the river. This afternoon, enjoy a game of bocce or fishing challenges before joining the Captain and Officers for pre-dinner drinks and the Captain’s Dinner and Dance. Breakfast, Guided Nature Walk, Food & Wine Presentation, Small Group Discovery Cruise, Lunch, Bocce, Fishing Challenges, Captains Dinner and Dance, Overnight Accommodation Onboard the P.S. Murray Princess. This morning return to Mannum and after breakfast, say good bye to your new found friends and fellow travellers. You will be personally meet at the Adelaide Central Bus Station and transferred to the airport to meet your flight home. You will be personally met at the airport by a DISCOVER AUSTRALIA representative and transferred from the airport to your hotel. You will also be transferred from Mannum to Adelaide Central Bus Station where you will be personally met by a DISCOVER AUSTRALIA representative and transferred to the Airport for your flight home. The Murray Princess 4 Day Discovery Cruise with Kangaroo Island Touring & Adelaide Stay is very popular. Many dates book out well in advance, please book soon.